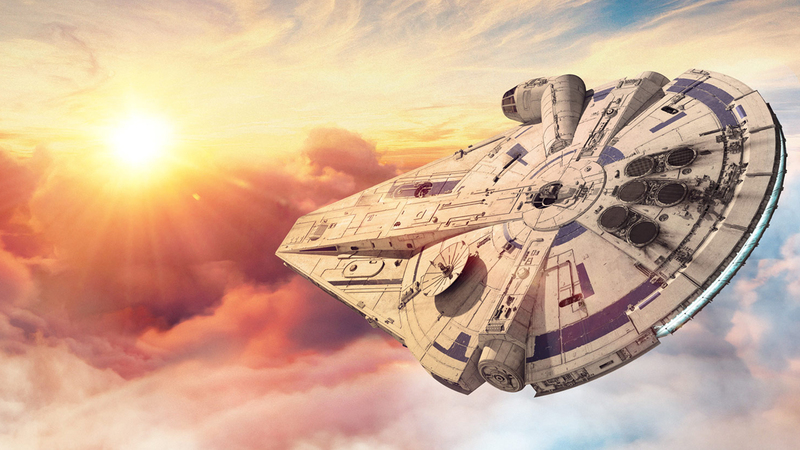 The Millenium Falcon not only had a new owner in Lando Calrissian (Donald Glover) in Solo: A Star Wars Story, but a new look, as well, with a far longer nose than we are used to seeing on the iconic spaceship. In a new video from Industrial Light & Magic, we get a look behind the scenes of the creation of the new/old Falcon that turns Han Solo (Alden Ehrenreich) into a legendary outlaw long before he was ever a Rebel. Solo: A Star Wars Story was directed by Ron Howard. Lawrence and Jon Kasdan wrote the script, which focuses on the formative years of the young smuggler and scoundrel (Alden Ehrenreich), his gambling buddy (Donald Glover) and a big walking carpet who owes him a life debt (Joona Suotamo). Woody Harrelson, Thandie Newton, Emilia Clarke and Pheobe Waller-Bridge also star.